Cameo appearances are fun and allow audiences the chance to see big stars in the smallest of parts. They can be fun surprises, or if you know in advance, it can be sort of a game to guess where they will pop up in the film. Some cameos go so fast you’ll miss them if you aren’t paying close attention. How many of these cameos did you recognize right away? Adapting a beloved young adult dystopian novel for the big screen no doubt came with many casting challenges. With her talents for songwriting and performing music that made her a mega-star, Taylor Swift is a celebrity with millions of fans. Few people know she also has a natural talent for acting. Any filmmaker would be wise to cast Ms. Swift in their film. She chose to do a cameo in The Giver partly because she loved the novel it was based on. Taylor Swift read The Giver when she was in fifth grade, and she credits it with changing her perspective on life in some ways. In the 2014 film adaptation of The Giver, Taylor portrays Rosemary, one who is chosen to save mankind. She wore a brunette wig for the film. Author Lois Lowry no doubt scored points with her grandkids for Swift’s cameo in the film; she told Variety that her grandchildren are Taylor Swift fans. Christopher Walken has been an iconic film star for decades. The Academy Award winning actor has appeared in over 100 movies and TV shows, including Annie Hall, A View to Kill, Hairspray, and The Dogs of War. He had a cameo in Pulp Fiction as Vietnam War veteran Captain Koons. What makes a celebrity cameo especially memorable is the star’s willingness to put their all into the small role. 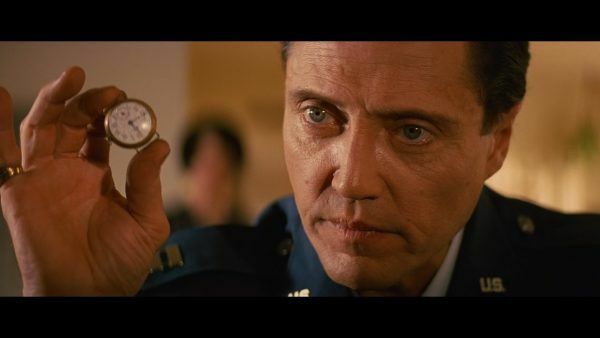 Christopher Walken epitomizes this attitude with his portrayal of Captain Koons. He treats this with the seriousness of a starring role, and at the end of the film, his performance is among those you won’t forget. Glenn Close received well-deserved accolades for her work in the 2018 film The Wife. In fact, she is a critically acclaimed actress who has received awards throughout much of her career, including an Emmy for her work in the controversial 1980’s made-for-television film Something About Amelia. What many people don’t realize, though, is that she is also in Hook. Hook is the 1991 adventure comedy film starring Dustin Hoffman and Robin Williams. It was directed by Steven Spielberg. 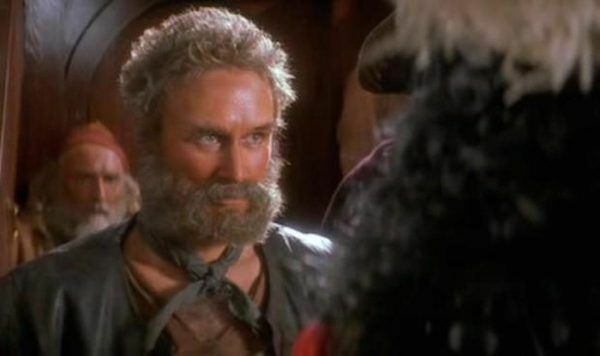 Glenn Close appears in a cameo as a pirate named Gutlass who betrays Captain Hook. She bets against him and is punished by being placed in the dreaded boo box by Captain Hook. It’s a scene that traumatized children who watched the film. Madonna has had unparalleled success in the music industry, yet her work in films has been more of a rollercoaster of highs and lows. Fans collect all her movies, and there are some real gems among her filmography. The singer had a cameo in Die Another Day, the 2002 James Bond spy film, and she also contributed the title song to the soundtrack. “Die Another Day” is a memorable song Madonna performed as the title song on the soundtrack, and it captures the mood of the film very well. 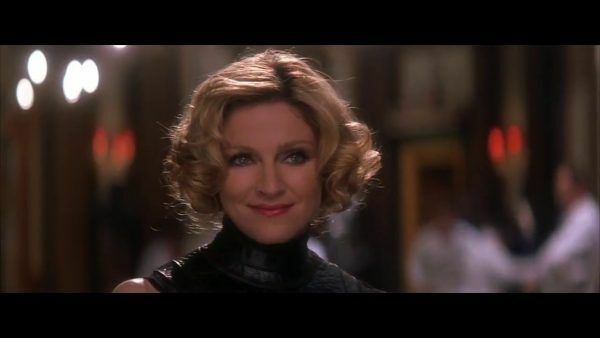 Madonna appears onscreen in Die Another Day as Verity, a fencing instructor who knows how to turn a phrase into innuendo. The movie was a commercial hit, and the premiere was attended by Queen Elizabeth herself. The Muppet Movie is a beloved 1979 live-action musical feature film starring the Muppets. The creative film is told as a movie within a movie, and Kermit the Frog tells his nephew Robin that the movie is a fictionalized version of how the Muppets really got together. Several celebrities make cameos in the film including the illustrious Orson Welles. 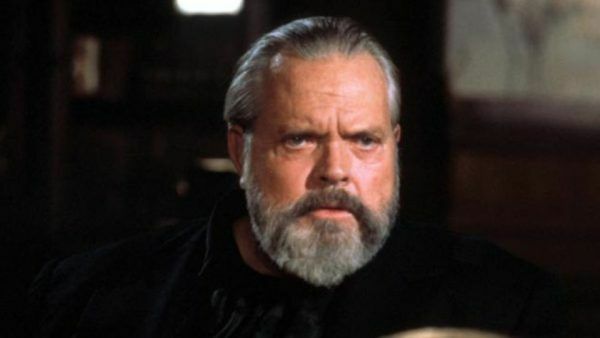 Orson Welles appears in The Muppet Movie as Lew Lord, the head of World Wide Studios. His character is hosting a pilot for a talk show in the film. Orson Welles brought much star power to the film as an Academy Award-winning filmmaker and actor whose work includes Citizen Kane. He was a big fan of The Muppets. David Bowie was a superstar and one of the most influential musical artists of the 20th century. He was unique in nearly every way, and he paved away for many artists who came after him to express themselves in ways that strayed from the norm. David Bowie was also a fashion icon, known for reinventing his look many times over the course of his career. 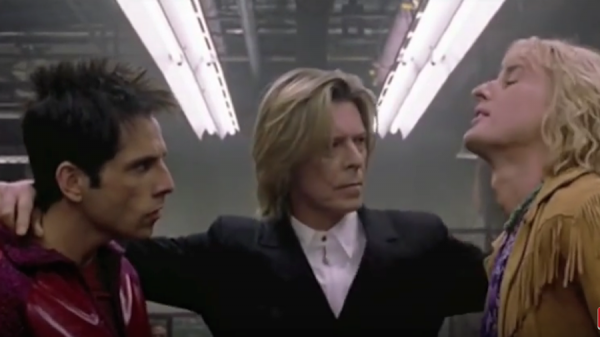 In Ben Stiller’s 2001 comedy Zoolander, David Bowie has a cameo as a fictionalized version of himself. In the funny scene, Bowie volunteers to be a judge for a walk-off between two models. His reputation as a fashion icon makes this scene especially fun. Ben Stiller later called David Bowie’s appearance in the film as a career highlight. Young Frankenstein is a classic 1974 comedy film by Mel Brooks. It starred Gene Wilder as Dr. Frederick Frankenstein, Marty Feldman as Igor, and Madeline Kahn as Elizabeth. 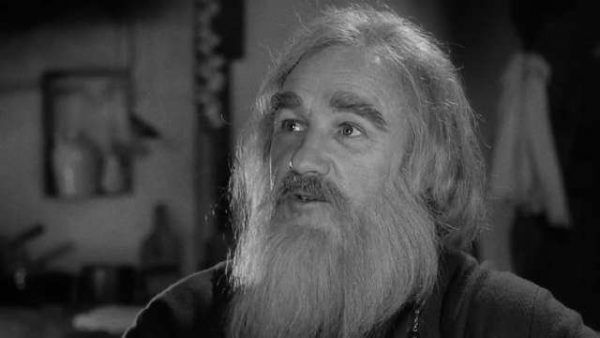 Gene Hackman’s cameo as a lonely blind priest is one of the key things that many people remember about the funny film. Gene Hackman was not among the original cast members. He specifically asked to be in the movie because he was trying to branch out into comedy, according to the commentary by Mel Brooks on the film’s Blu-ray release. Since he is blind, Hackman’s character doesn’t see a monster but only another lonely soul, and it’s a touching part of the movie. X-Men: First Class is a 2011 action-adventure superhero movie that’s based on the X-Men characters from the Marvel Comics series of comic books. It’s the fifth film in the X-Men movie series and was directed by Matthew Vaughn. Hugh Jackman has a brief cameo in X-Men: First Class where he reprises his role as Logan/Wolverine. Hugh Jackman holds the Guinness World Record for the longest career as a live-action Marvel superhero for his portrayal of Wolverine in multiple movies. He first appeared on screen as Logan/Wolverine in the 2000 film X-Men, and he reprised the role several times throughout the series. In X-Men: First Class, Hugh Jackman appears as Wolverine in a bar scene, although he is not credited for his brief work in the film. Leonard Nimoy wore many hats in his dynamic career. He found success as an actor, filmmaker, photographer, author, singer, and songwriter. He was best known for his portrayal of Spock in the Star Trek franchise. Leonard Nimoy originated the role in December 1964 when he made the pilot episode for the first Star Trek series. 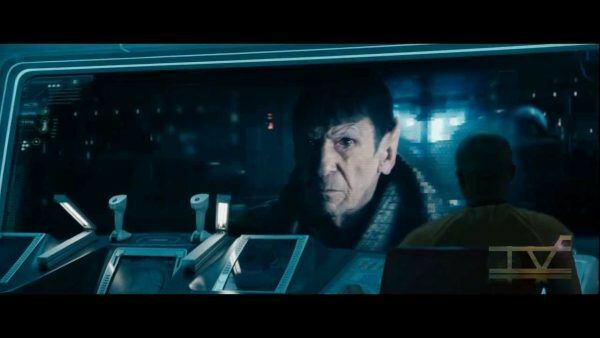 Leonard Nimoy’s cameo in the 2013 film Star Trek Into Darkness was his last appearance in a feature film. He plays Spock Prime in the movie, whereas Zachary Quinto plays Spock. Leonard Nimoy was only principal cast member from the original Star Trek show to appear in eight different Star Trek movies. He played the role of Spock on and off through the course of nearly 50 years. Daniel Craig is best known for his star turn as James Bond in several 007 films. The English actor had his film debut in The Power of One in 1992, so he had been working on his craft for many years before he became a star. He made headlines for his cameo in the much-anticipated 2015 sequel film Star Wars: The Force Awakens. 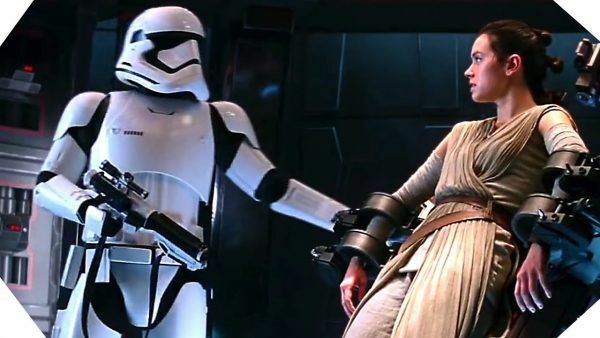 In Star Wars: The Force Awakens, Daniel Craig has a cameo as a stormtrooper. Before the film debuted, he appeared to have great fun in denying the cameo. However, he asked a crew member for a role in the film, and J.J. Abrams was happy to welcome him on the set where he played the stormtrooper who is tricked into releasing Rey. Bill Murray is known for being both a great guy and a beloved movie star. He seemed to live up to both roles with his comedic cameo as himself in the 2009 post-apocalypse, action-adventure comedy film Zombieland. In the movie, a group of survivors of a zombie infestation find themselves seeking refuge in Bill Murray’s mansion. As the main characters try to hide in the mansion, they are shocked to discover Bill Murray himself. He is not infected from the zombies, but he’s pretending to be as a way of protecting himself. The characters engage with Bill Murray portraying Bill Murray and do such fun things as watching Ghostbusters with him. In the film, Murray is then mistaken for a real zombie and killed. 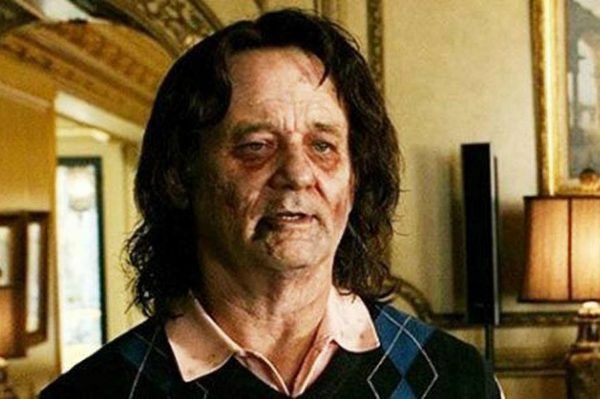 It’s rumored that both Bill Murray and Dan Aykroyd will have a cameo in the upcoming Zombieland sequel. Samuel L. Jackson is one of the most prolific movie stars in the history of cinema. He has appeared in multiple franchises, and he is an important part of the Marvel Cinematic Universe. Samuel L. Jackson first portrays Nick Fury in a cameo at the end of Iron Man. Samuel L. Jackson plays Colonel Nicholas Joseph Fury, known simply as Nick Fury in the credits. Nick Fury is a leading agent of the espionage agency S.H.I.E.L.D. Be sure to watch the movie all the way through! 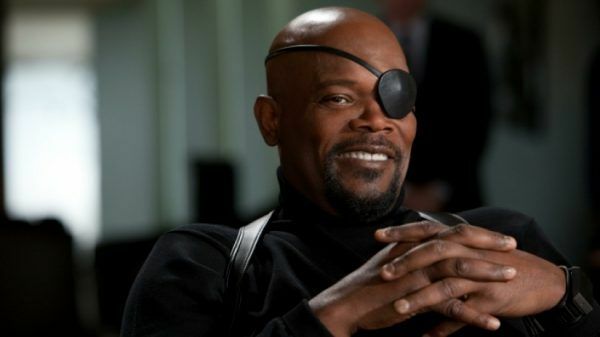 Samuel L. Jackson’s appearance as Nick Fury is shown after the end credits of the film. Alice Cooper is a singer, songwriter, and actor who is known for a dark on-stage persona. His dramatic concerts were heavy on scary props like fake blood, electric chairs, guillotines, and more. As a hard rock and heavy metal singer, he’s been called the Godfather of Shock Rock who first found fame with his 1971 song “I’m Eighteen”. 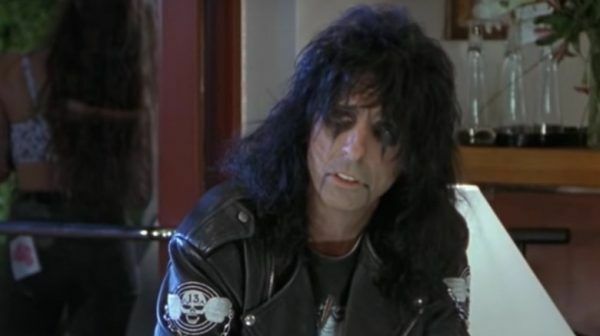 In Wayne’s World, Alice Cooper has a cameo as himself. Wayne and Garth are very excited to get all-access tickets to an Alice Cooper concert in Milwaukee. (Side note: also look for an appearance from Chris Farley as the security guard at the show.) The fictionalized Alice Cooper talks to Wayne about the history of Milwaukee in his scene. Perhaps no cameo is more fitting than Billy Idol’s in The Wedding Singer. With the movie’s jovial celebration of 1980’s music, Billy Idol’s “White Wedding” is appropriately on the soundtrack. The film follows wedding singer Robbie Hart (Adam Sandler) as he falls in love with bride-to-be Julia Sullivan (Drew Barrymore). Billy Idol has a cameo as himself in a climactic scene in The Wedding Singer. 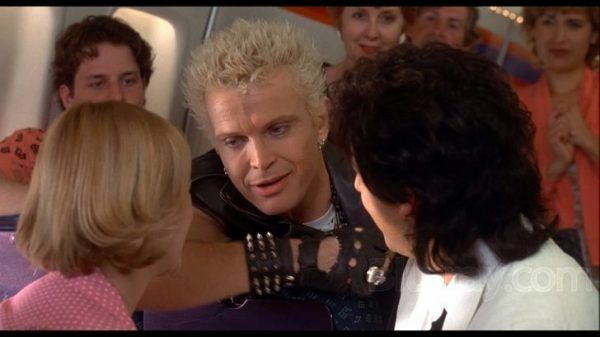 During the airplane scene, Billy Idol is moved by Robbie’s story while on the plane, and he helps Robbie try to win over Julia with a song he’s written just for her. Billy Idol further tries to get the two together by blocking her fiancé from getting to her during the scene. Martin Scorsese directed the 1976 neo-noir psychological thriller Taxi Driver. This dark movie is widely considered to be among the more disturbing films of the 1970’s. It starred Robert DeNiro, Cybill Shepherd, Harvey Keitel, and a very young Jodie Foster. Some film fans don’t realize that Martin Scorsese himself appeared in the film. 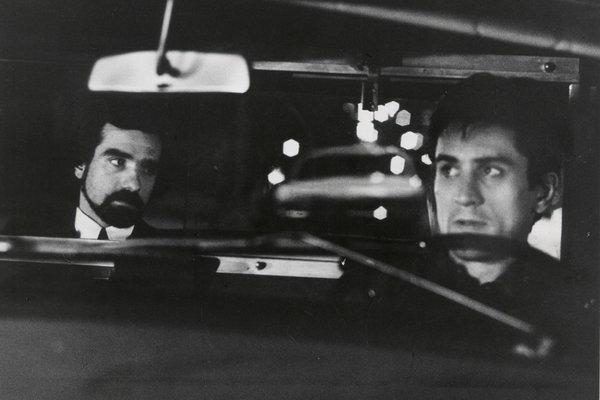 Martin Scorsese portrays a taxi passenger who is planning to kill his wife. He addresses DeNiro’s character and confesses that he knows that his wife is cheating on him. He says that he is going to kill her with a .44 Magnum that he is carrying. In addition to this scene, Scorsese can be seen earlier in the film when taxi driver Travis (Robert DeNiro) is watching Cybill Shepherd’s from his cab. Pulp Fiction is widely considered to be Quentin Tarantino’s best film, and it’s the one that first brought him fame and fortune. It is credited with reigniting the public’s interest in film noir, and it helped John Travolta enjoy what was considered a comeback. 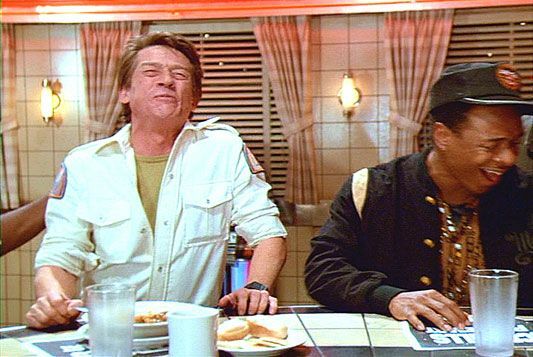 Tarantino obviously had fun with the film, and that comes through in his cameo. Tarantino has a cameo as Jimmie Dimmick. His character pops in at a memorable time. Vincent (John Travolta) and Jules (Samuel L. Jackson) need Jimmie to clean Marvin’s body from their car. In a case of Tarantino marrying the worlds of his films, Jimmie Dimmick is related to the character Laurence Dimmick from Reservoir Dogs. Glengarry Glen Ross has become something of a cult classic. The 1992 dramatic film was based on David Mamet’s Pultizer Prize-winning play. David Mamet chose to write the script and adapt the play himself, so it’s not a big surprise that it’s a faithful adaptation, but one exception is the scene with Alec Baldwin. 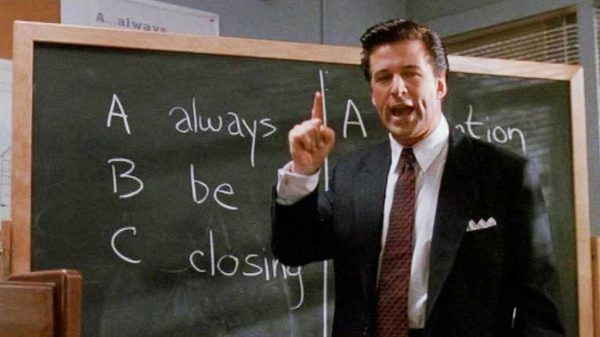 Alec Baldwin’s star was on the rise when he made his cameo appearance in Glengarry Glen Ross. He appears in only one scene, yet it’s this scene that is most often discussed. He plays Blake, a successful man who appears to help motivate the real estate agents. He motivated them by, among other things, telling them that they’re fired and have one week to save their jobs. Blink and you’ll miss them! 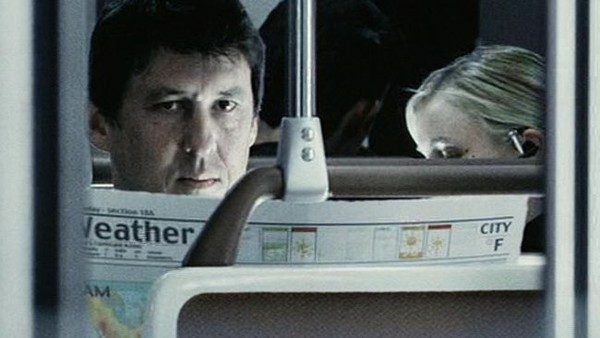 Cameron Crowe and Cameron Diaz appear onscreen together as bus passengers in an important scene of Minority Report. Crowe and Diaz are sitting on the train in the scene where Tom Cruise’s character is trying to evade the police. Cameron Diaz and Cameron Crowe reportedly worked very well together. She starred in Crowe’s 2001 film Vanilla Sky along with Tom Cruise and Penelope Cruz. The movie is considered an artistic triumph among many film fans. But fewer know that the director and actress had an uncredited scene one year later in the sci-fi film starring Cruise. Who wouldn’t want to a part in a Steven Spielberg movie, though, no matter how small it is? There are some actors who don’t take their celebrity too seriously, moving effortlessly between playing a character and playing some heightened version of themselves as a way to poke fun at their A-list status. Think Neil Patrick Harris, Jeff Goldblum, Steve Buscemi, . Then there’s Tom Cruise, a man whose reputation is insulated by approximately 10,000 layers of Scientology-approved sheetrock. Tom Cruise is not to be mocked, not even when he jumps on Oprah’s couch, wears a black turtleneck while laughing maniacally or screaming like one of those budgett frogs in the trailer for The Mummy. Which was why Cruise’s cameo in 2008’s Tropic Thunder was such a delight. Cruise, donning a fat suit and a bald cap, plays the foul-mouthed studio executive Les Grossman, a bombastic pig who bears more than a passing resemblance to a certain now-shunned producer. To this date, this remains the only time Cruise has been willing to trade his larger-than-life persona for laughs…though we hold out hope for the future. Celebrity cameos can fall into one of two categories: the Big Get and the Trivia Night Question. The Big Get is when an A-lister appears in a scene of a movie they were not billed in and takes center stage, delighting audiences with the equivalent of Leonardo DiCaprio walking into your office one day and setting next to you at work. “Hey, it’s that famous guy! He’s not supposed to be here!” The cameo is about the star, not the movie. Most of the entries fall into that that category. But in Hot Fuzz, actress Cate Blanchett opts for the second type of cameo. In Edgar Wright‘s 2007 buddy cop feature– part of the director’s Three Flavours Cornetto trilogy with Simon Pegg and Nick Frost– Blanchett is unrecognizable as Pegg’s investigator girlfriend Janine, whose only scne involves her wearing a full body suit and a mask while dumping him. It’s a blink and you’ll miss it cameo, and one that remains uncredited to this day. Thus: a perfect Trivia Night Question cameo. Elizabeth Taylor was one of the most revered stars in the world as her suitor Mike Todd was producing the 1956 major motion picture Around the World in 80 Days. Mike Todd had star power on his side, and the movie won five Academy Awards, including one for Best Picture. Frank Sinatra may be known for his incredible, unique voice and for being the most influential musical performer of the 20th century, but he also enjoyed appearing in films and television shows throughout his career. He even made a cameo appearance on the 1980’s sitcom Who’s The Boss? when he learned that Tony Danza was a mega-fan. 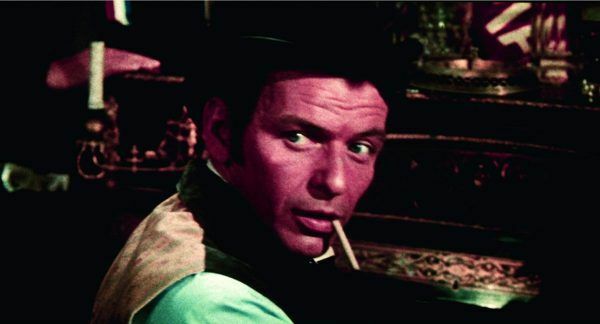 Frank Sinatra has a small part as a saloon pianist in Around the World in 80 Days. Bruce Springsteen has achieved such success as a singer-songwriter that few entertainers have comparable careers. Nicknamed The Boss, he performers as the leader of the E Street Band. He first rose to fame in the 1970’s and achieved even greater success in the 1980’s. So, it seems fitting that he has a cameo in High Fidelity. High Fidelity is a 2000 romantic-comedy drama film starring John Cusack. It was Cusack himself who reached out to Springsteen to ask him to appear in the movie, and Springsteen was open to the idea. 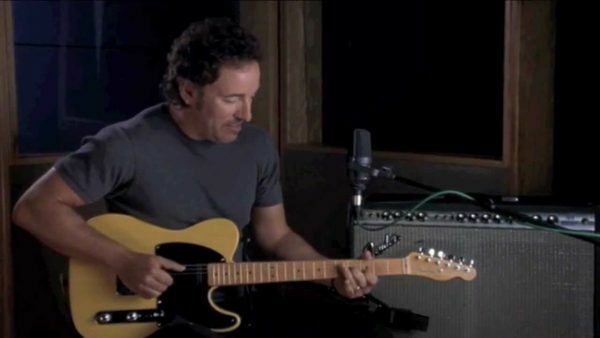 Bruce Springsteen appears for less than a minute in the film in a fantasy sequence when John Cusack’s character is imagining what it would be like to get advice from Springsteen. 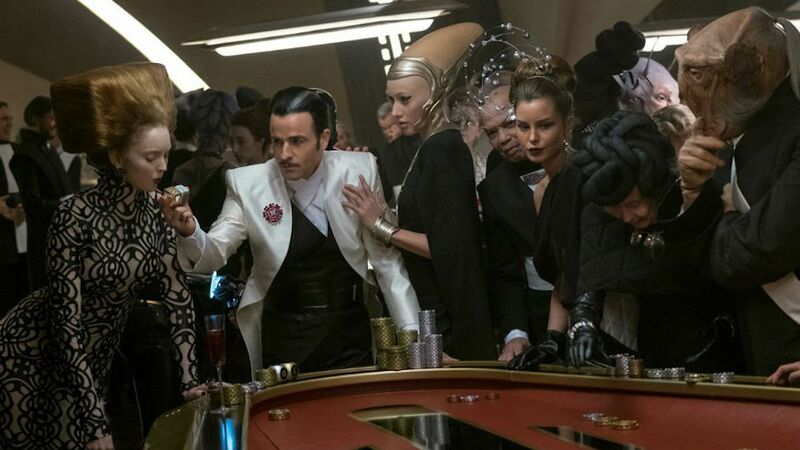 Justin Theroux may be more famous for dating Jennifer Aniston than being part of a galaxy far, far away, but the star of The Leftovers did give Star Wars fans a glimpse of his infamous widow’s peak in Star Wars: The Last Jedi. Therouxappears in a cameo as Master Codebreaker. However, his original role was not so small. When he was first approached about acting in the movie, the role was much bigger, yet it slowly got reduced during the writing of the film. Theroux was nevertheless happy to appear in the small role just as it was. 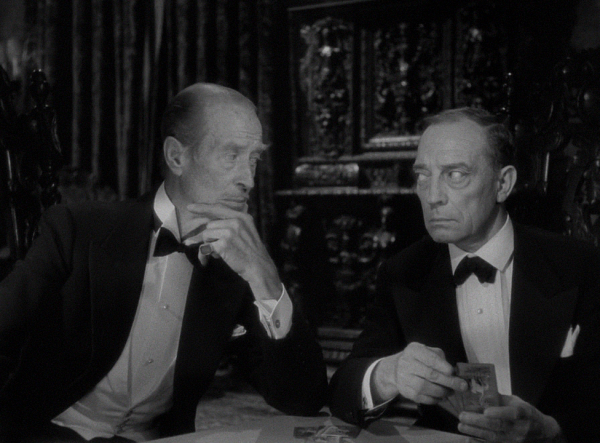 Buster Keaton has a cameo in Sunset Boulevard before cameos were really a thing. The 1950 film noir thriller was directed and co-written by Billy Wilder. Sunset Boulevard depicts the perils of building a life and career in Hollywood, and it was nominated for an amazing 11 Academy Awards. It has since been listed as one of the best films of all time many times over, and it was among the first films that were selected for preservation by the National Film Registry. Buster Keaton can be seen briefly in Sunset Boulevard as he portrays a fictionalized version of himself. He appears in the movie as a has-been performer who comes to play bridge with Norma (Gloria Swanson). Buster Keaton continued to act and perform for many years, but he remains best known for his silent films. The Silence of the Lambs is a very dark 1991 psychological horror-thriller movie. Jodie Foster stars as FBI trainee Clarice Starling, and Anthony Hopkins stars as serial killer and cannibal Dr. Hannibal Lecter. 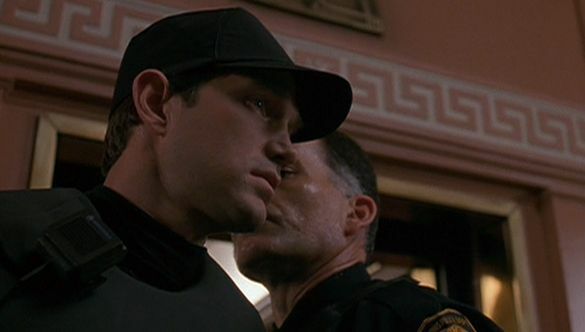 Chris Isaak, the successful singer who is known for his songs and videos such as “Wicked Game”, also appears in The Silence of the Lambs. Chris Isaak was a big star as a singer and musician in the 1990’s, yet he also had a passion for acting. He wasn’t afraid to take on small roles. He played the SWAT commander in The Silence of the Lambs, with a role that’s so tiny that many people don’t realize it’s the beloved crooner they’re seeing in the movie. Kurt Vonnegut wrote such classic novels as Slaughterhouse-Five and Breakfast of Champions. He may be one of the most acclaimed writers of the 20th century, yet he was never one to hold back on his love for pop culture. He once declared that he would rather have written the sitcom Cheers than anything he’d ever written. So perhaps it’s little surprise that he relished his cameo in the comedic film Back to School. The 1986 comedy film Back to School featured Rodney Dangerfield as a wealthy but uneducated older man who decides to go back to school. Kurt Vonnegut portrays himself in his cameo in the movie. Dangerfield’s character Thornton hires Kurt Vonnegut to write a paper about his own work, yet the stunt backfires as the teacher realizes it wasn’t written by Thornton. As the star of Die Hard, Bruce Willis became the ultimate action star in 1990’s action-adventure movies. He has appeared in over 70 films, taking on most genres at some point in his illustrious career. In Ocean’s Twelve, a 2004 sequel to the successful heist film Ocean’s Eleven, Bruce Willis makes a cameo appearance as himself. Bruce Willis has a somewhat complex cameo appearance in Ocean’s Twelve. Although he’s playing himself, Julia Roberts is not playing herself in the movie. Nevertheless, her character Tess Ocean pretends to be movie star Julia Roberts in the scene with Willis. Just as perhaps they do in real life, people keep telling Bruce Willis that they guessed the ending of The Sixth Sense. Rita Ora is a British singer and songwriter who has enjoyed success with songs such as “R.I.P.”, “How We Do (Party)”, and “Your Song”. Her contributions to the 50 Shades of Grey franchise, however, has nothing to do with music. Instead, she has a small but important role as Christian Grey’s sister Mia. Mia Grey is a free-spirited character who has a great affinity for her adopted brother Christian Grey (Jamie Dornan). She is also an ally of leading character Anastasia Steele (Dakota Johnson). The character has only a small part in the films, though her character is central to the plot of the third film in the series. 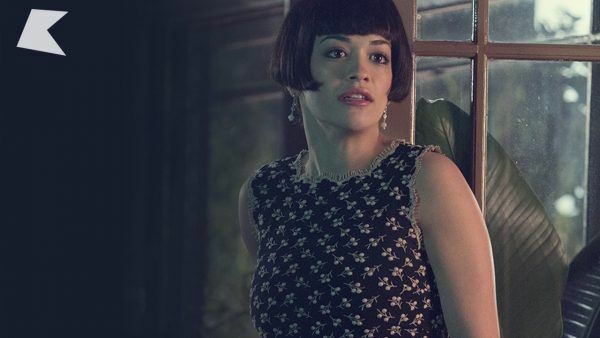 Rita Ora has said she would be up for a spin-off film series that’s focused on Mia. Back to the Future is closely associated with its infectious theme song “The Power of Love”. Huey Lewis of Huey Lewis and the News wrote and performed it with his band. He also wrote and performed “Back in Time” for the movie’s soundtrack. What many people don’t realize is that Huey Lewis also appeared on screen in the beloved 1985 time-travel flick. Huey Lewis was asked by director Bob Zemeckis to write a song for the film. Zemeckis explained how Michael J. Fox’s character Marty McFly was going to be a big fan of Huey Lewis and the News in the movie. 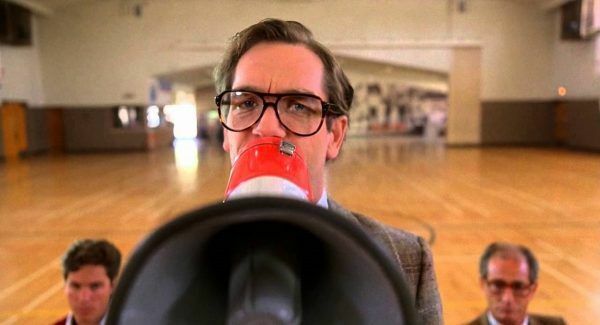 Huey Lewis ultimately contributed two songs to the movie and appeared as a judge for the Battle of the Bands scene where he critiques a performance of his song “The Power of Love”. Brad Pitt first gained attention from mainstream audiences when he appeared in a small role in Thelma & Louise in 1991. Since then, he has mostly appeared in starring roles in major motion pictures. However, he was happy to take on a fun cameo appearance in the mega-successful Deadpool film series in exchange for an odd request. 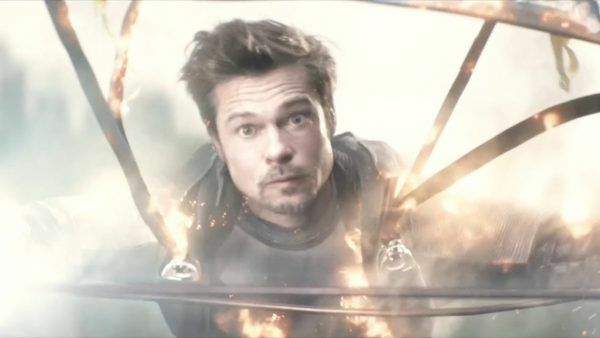 When Brad Pitt was asked to make a cameo appearance in the comedic superhero sequel film Deadpool 2, he asked one thing of the film’s star Ryan Reynolds. He reportedly asked for one thing: a hand-delivered Starbucks coffee that was made by Ryan Reynolds himself. The request made in good humor was the only diva-ish thing about the appearance; Pitt worked for scale, making less than $1,000 for his small part in the film. Austin Powers in Goldmember is the third movie in the Austin Powers franchise, and it’s the type of glossy comedy that includes countless celebrity cameos. One of the most memorable came from legendary film director Steven Spielberg. He is portraying the director of Austinpussy, the film within the film. Whereas the first two Austin Powers films were low-budget, they had the funds to go big with this one. The elaborate opening sequence to Austin Powers in Goldmember includes what looks like a real action sequence complete with Tom Cruise until the comedy takes over. Jay Roach, the director of Austin Powers in Goldmember, was awed to have Spielberg on the set, and he welcomed his advice. Spielberg suggested having wind blowing through the hair of the stars of the mythic action film, a note that Roach wisely used in the film. Sir John Vincent Hurt CBE, who is known as simply John Hurt, was an English actor whose career spanned over five decades. David Lynch once went so far as to describe him as the greatest actor in the world, yet many Spaceballs fans love him most for his cameo in the 1987 comedic sci-fi flick. Spaceballs parodies Star Wars, Star Trek, Planet of the Apes, and Alien.